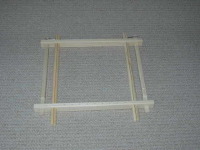 Solid wood frame for mounting and stretching embroidery fabric for stitching. Frame accommodates most JEC designs and we recommend using mounting fabric to stretch over the shuttle poles. 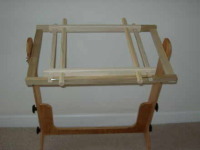 Frame is designed to be used securely in conjunction with Portable Frame Stands. 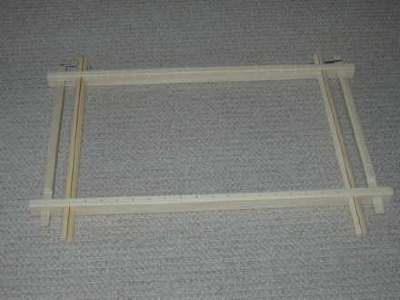 Frames are available in 3 different sizes to accommodate all your project needs! Available in 20", 29" and 39". Made of 3/4" Poplar Wood. 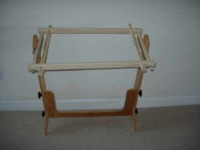 Available in 3 sizes: 20", 29" and 39"
Please note: 20" frame is designed to be used in conjunction with the Frame Holder in order to properly secure onto Portable Frame Stands.